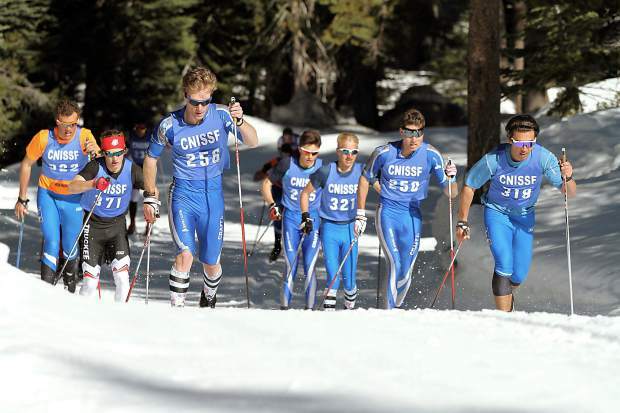 A pack of varsity boys skiers power up a hill during the CNISSF state championships. 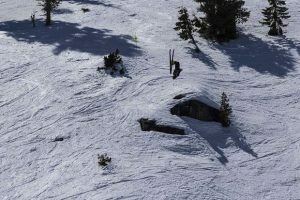 The three-time defending California Nevada Interscholastic Ski and Snowboard Federation (CNISSF) Nordic state champion, Truckee girls’ team, and defending state champion, North Tahoe boys, will hit the snow for the season’s first competition on Friday, Dec. 22. The Truckee girls come into the season opener with one of their top skiers, Grace Bronstone, who finished fourth overall at state last season, back for her senior year. The Wolverines will also return senior Abby Baier, who took ninth overall at last year’s state championships. Both skiers have been on the team four for years, and will be joined by a large group of freshmen skiers. Of those freshman, Benier highlighted Grace Houdous as a skier who’s stood out so far this season. 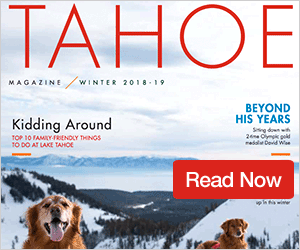 The North Tahoe Lakers will come into the season after graduating last year’s state champion out of the girls’ side, Quinn Lehmkuhl, but are looking to reload with an incoming group of skiers. Lehmkuhl’s little sister, Kili Lehmkuhl is among the team’s incoming freshmen who have stood out along with newcomer Lily Murnane. Camille Syben, who is the North Tahoe girls’ only senior this year, will lead the Lady Lakers this season. Sugar Bowl Academy sports two of the top girls from last year in junior state runner-up Kiana Mullings and third-place finisher Ella Kuzyk. During the past three high school state championship boys’ races, no skier has been able to match the pace of Sugar Bowl Academy junior Haydn Halvorsen. 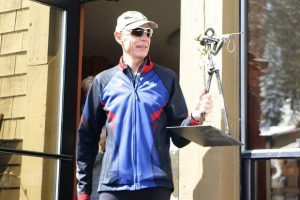 He topped second place by 21.6 seconds at last year’s state championships, and most recently competed in the International Ski Federation US Super Tour’s first race of the season at Rendezvous Ski Trails in Yellowstone, Mont., where he skied to 27th place out of 57 skiers for his best finish of the three-race event. 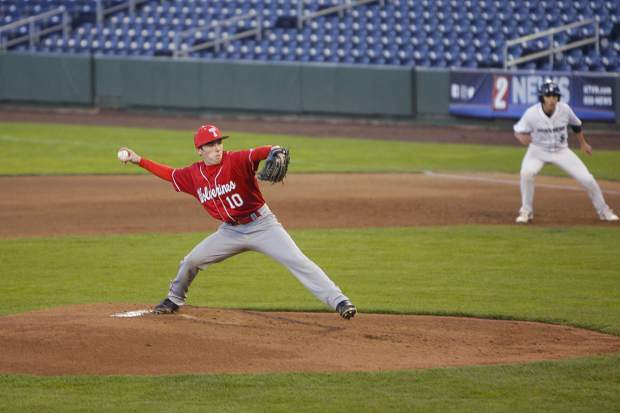 Sugar Bowl Academy graduated last year’s second place finisher, Christopher O’Brien. Senior JC Schoonmaker will lead the defending state champion North Tahoe boys’ team this season, and was the school’s top skier last season with a third-place finish at state championships. North Tahoe will return last year’s fourth-place finisher at state, Cooper Anderson, and last year’s 10th-place finisher at state Max Roske. The Truckee boys graduated their top two skiers from a year ago — last year’s sixth-place finisher at state, David Dalicandro, and seventh-place finisher Christopher Miller. Junior KC Larkins will lead the Wolverines’ charge this season. Larkins finished in eighth place at last year’s state championships. With little snow on the trails so far this season, training has been difficult, according to Benier, with Auburn Ski Club being the only place teams have been able to train at. The cross-country ski season is slated to begin at 10:30 a.m. for the high school race, followed by a noon start for the middle school teams.